Large, lumpy and lacking in confidence? Laura lost 10½ stone and loves helping others fulfil their dreams! 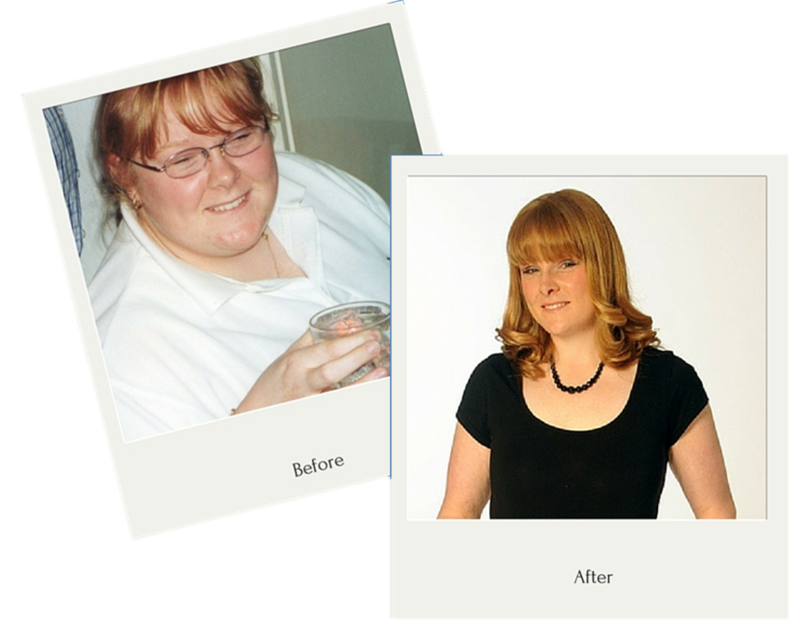 Laura lost a massive 10½ stone – a life changing experience. “Hi, I’m Laura. In 2006, I joined a Slimtone class in Tondu, near Bridgend. At the time I was 18 and I weighed over 20 stone. I had some problems with my health linked to being overweight. I attended the weekly class for about 2 years with my Dad and my best friend. I didn’t stay for the whole meeting as I had no confidence, no self-esteem and I didn’t want to meet the rest of the class. I just went early to weigh in, get the information sheet and run off before the rest of the class turned up. As the weeks went past, the weight started coming off at a steady pace. I was starting to feel my confidence coming back and my health was starting to get back to normal. I was just losing about a pound a week, but have you seen how much a pound is! And what’s more my body could cope and was slowly adjusting. After about 2 years, Nicola who ran the class was leaving. At the same time I was just starting university so I stopped going too. Even though I didn’t go to class anymore, I decided to stick with the diet on my own. After all, I’d found confidence I never knew I had and was starting to feel the real Laura coming out. It’s now coming up to 8 years later and I am proud to say that altogether I have lost a massive 10 stone 7 pounds! My weight started to stabilise about a year and a half ago and I’ve maintained my weight since then. I am still very strict with the food I eat and have become an expert on what foods have what calories. You could say I’m a little bit obsessed – but when you have worked as hard as I have to lose the weight, there is no way I am letting my guard down now. As we all know, the pounds can go back on quickly. My personal trainer has 4 legs! Oh yes, I now also have a personal trainer. I don’t go to the gym or pay for an expensive exercise class – my personal trainer has 4 legs! Every day I take my dog out for a walk, throw the ball and we race around together. Such fun and a cheap and cheerful way to keep in trim. I’m so pleased to share my story with you, as I owe all of my success to Slimtone and the help and support I had. The Slimtone diet is such an effective diet – and it’s do-able for the long haul. I find myself getting annoyed with other diets, which are not practical and not long term. It’s so great when people I know come to me for help and advice. I love helping them and pointing them in the right direction to fulfil their dreams of losing weight. Thank you, Slimtone. You’ve made such a difference to my life.